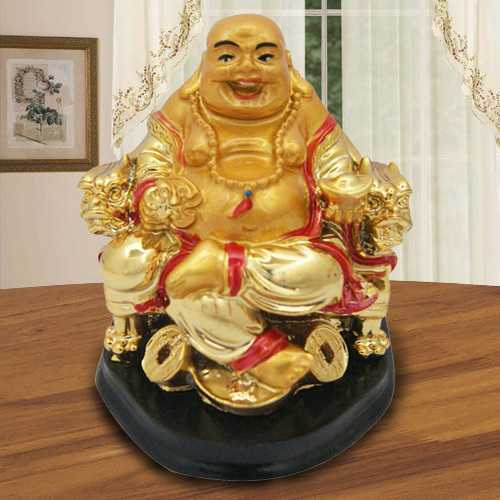 Deliver happiness into the lives of the special people in your life by sending this Classic Golden Laughing Buddha with Touch of Good Luck and create a magical world full of love for them. This classic Golden Laughing Buddha with a smiling face, is holding a gold ingot in his left hand and a sack of wealth in his right hand sitting on a Dragon Chair. This will definitely able to bring good luck of your dear one.